Yamuna (in the cover photo on top) is among the tens of thousands of farmers who have arrived in Delhi on a chilly morning on November 29. 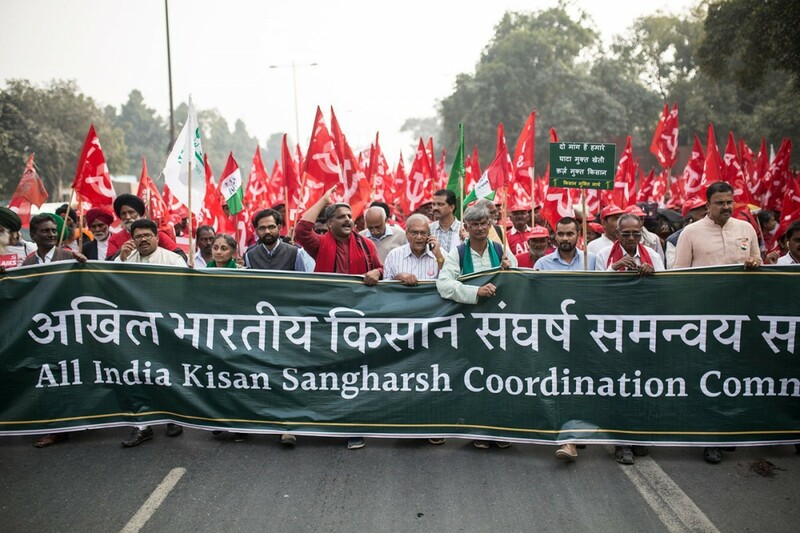 The All India Kisan Sangharsh Coordination Committee, an umbrella organisation of 150-200 farm groups and unions, has mobilised farmers from across the country to participate in a two-day protest. 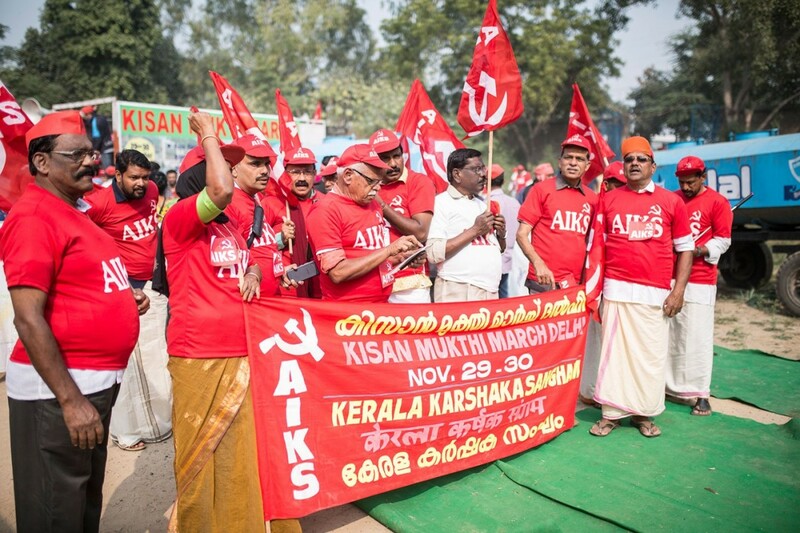 Today, November 30, the protestors have marched towards parliament, demanding a special 21-day session to discuss the agrarian crisis. Credit: Shrirang Swarge/ People’s Archive of Rural India. 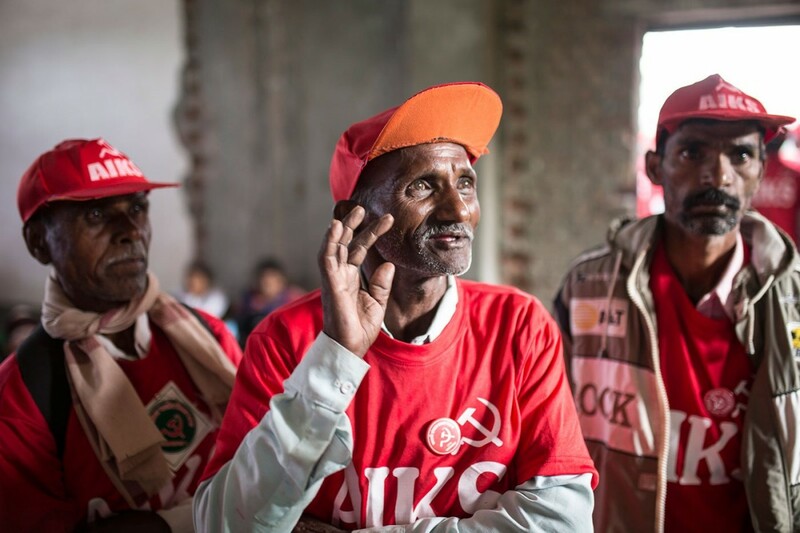 Farmers have come from numerous states, and at least 3,000 are from Maharashtra, says Ajit Navale, farm leader with the Akhil Bharatiya Kisan Sabha. 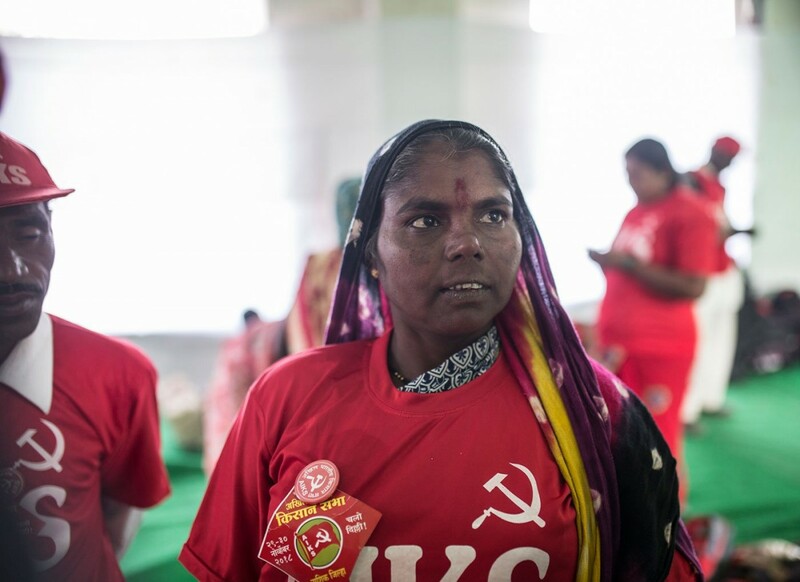 Many of them, like Yamuna, are agricultural labourers earning Rs. 150 as daily wages. Tuljabai Bhadange of Gangavarhe village in Nashik district. ‘This march is a statement. We did it in Mumbai, we will do it again’, she says. Credit: Shrirang Swarge/ People’s Archive of Rural India. As the farmers flood the streets of Delhi with red flags and t-shirts, chants of ‘Modi sarkar hosh mein aao’ reverberate in the air. Bystanders and commuters look on, while the farmers robustly continue shouting slogans. 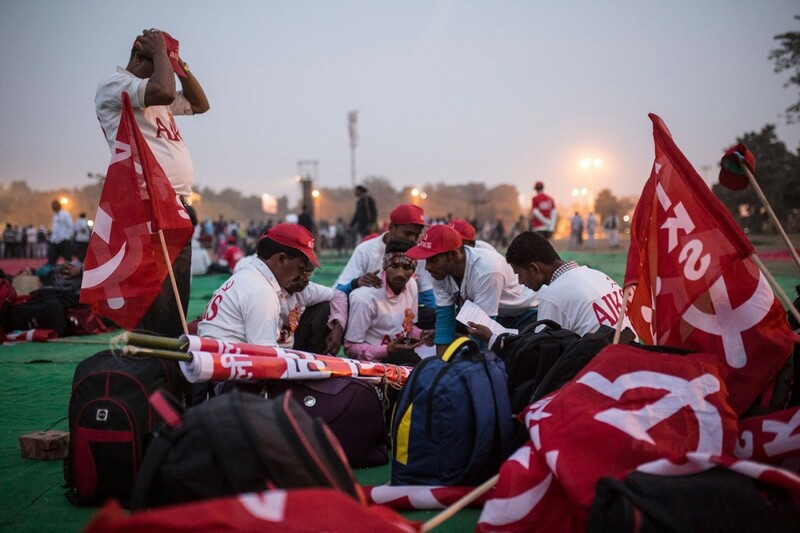 Disciplined and forceful, the farmers continue to stride towards Ramlila Maidan – nine kilometres from Nizamuddin – close to the heart of Delhi, where the farmers will spend the night. With just one break after about five kilometres, the marchers reach the Maidan at 4:30 in the afternoon. Day one draws to a close at Ramlila Maidan. Credit: Shrirang Swarge/ People’s Archive of Rural India. Krishna Khode says, ‘My father wanted me to be a police officer. I will strive for that’. 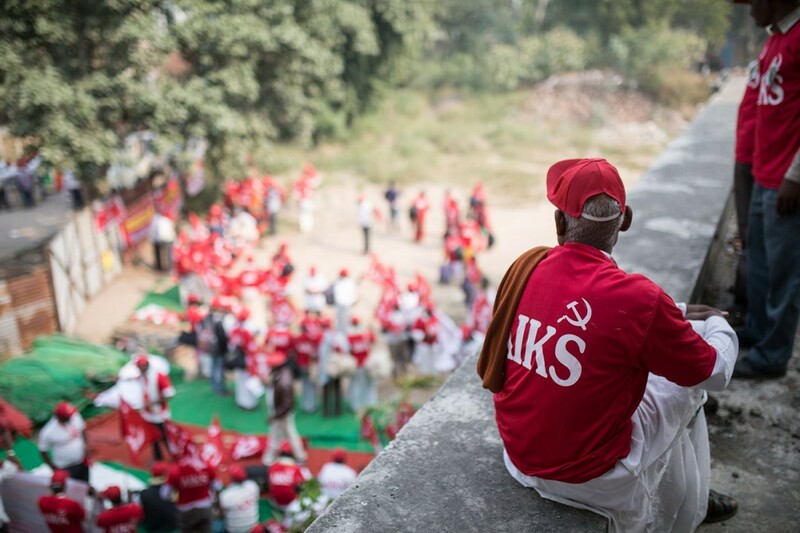 Credit: Shrirang Swarge/ People’s Archive of Rural India. 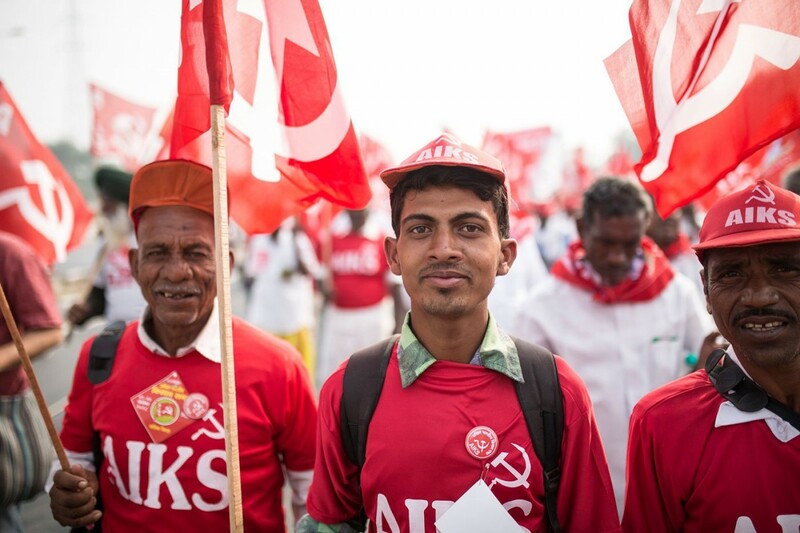 This article was originally published in the People’s Archive of Rural India on November 30, 2018.